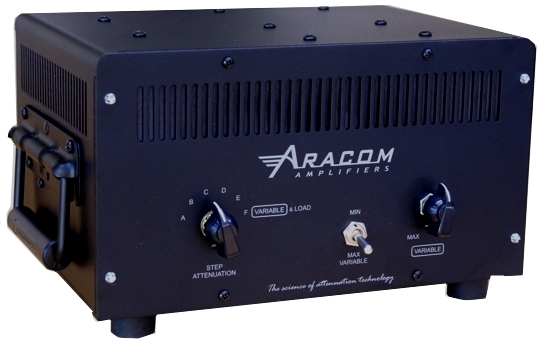 Another Aracom PRX150 Attenuator Demo – AWESOME!!! I swear by my Aracom attenuator as do many others, and it’s great to see people demonstrating it. This demo comes from a guy in Italy who can cop Angus Young like no other. This dude rocks the house and has several vintage amps and guitars. He’s not just a collector, he’s a bonafide player! Aracom PRX150-DAG Video is out!!! When you’ve got a guy like Lance Keltner singing the praises of your equipment and calling you a genius to boot, you must be doing something right. Jeff Aragaki of Aracom Amps is someone I’ve been praising for quite awhile, and I’m glad he’s finally getting the recognition he deserves. As far as the DAG unit is concerned, that’s available exclusively through Destroy All Guitars. I’ve played through one of those units myself, and the high-cut filter works great, and definitely takes the edge off, without throwing a blanket over your tone and dynamics like many attenuators do that include one. If you have an amp that outputs lots of highs when cranked – or somehow hear high-frequency transients – then the DAG unit is the way to go. While Jeff has gained lots of popularity with his attenuators, often overlooked are his wonderful amplifiers of which I have three. In the next couple of days, I will be getting a 50 Watt Evolver to test out in my studio. I’m so excited! I’ve played through an Evolver at Jeff’s workshop and that amp has tons of balls! It’s definitely Marshall-esque, but with Jeff’s particular twists. I’m excited to be getting this unit for a full test!